One of my sixth-grade students once said to me, "God invented Google, because people don't have all the answers". I thought that was hilarious, but also very ironic, which made it very interesting to me. It made me realize that individuals don't have all the answers, which is why Google is so powerful. It allows people to share their knowledge and expertise with the world. This ultimately led me to this blog post about why teachers should be co-learners with our students, because my student is right, we as teachers don't have all the answers that our students need! There is an old saying, If you give a man to fish, he eats for a day. If you teach a man to fish, he eats for a lifetime. This statement is very true in the context of classroom teaching. When teachers provide the information that students need to learn, students become dependent on their teachers for the answers. When teachers provide an opportunity for students to seek the information, students become dependent on themselves for the answers. Which of these teaching models do you think supports 21st century life-long learners? The "stand and deliver" teaching model died years ago, yet teachers are still using it in their classrooms. For example, lots of teachers misuse their Interactive Whiteboards as a technological vehicle for delivering information to their students. These teachers believe that if they are using the latest technology, then their students must be engaged and will learn via technology-infused instruction. Let me tell you, best-practice teaching is not about the technology, trust me! Think about the following statement: "Tell me and I will forget. Show me and I will remember. Involve me and I will learn." Teachers who "stand and deliver" are telling and showing students, rather than involving them. Co-learning with students involves them in the learning process and they are more likely to learn the information, rather than just remembering it, or even worse, forgetting it. 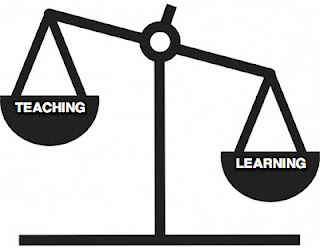 So what is co-learning exactly? I'll be the first to admit that I don't know the answer to everything. I think that its extremely important for teachers to check their pride at the door when they walk into the school building. My goal is NOT to show my students how much I know, rather my goal is for my students to show me how much they know! As a co-learner, I strive to give my students the confidence and learning tools that they will need to independently answer their own questions and solve their own problems. To create a "community of practice" I tell my students that I don't have all the answers for them, but that I will support them in their endeavor to find the answers. This creates a comfortable learning environment for my students to harness their inquiry by exploring answers to their own questions. In a co-learning environment, what is the role of the students? What is the role of the teacher? Below are some key phrases and responses that I use with my students as a co-learner. If I tell you the answer, how am I helping you to learn how to answer your own questions? What if you want to know the answer to a question you have outside of school? What would you do? That is a great question! Let's look it up! I don't know the answer to that question ... what do YOU think? How can we find the answer? I've never heard of that before ... tell me more about it. What is a tool or application that we know about that will help us to solve this problem? If you are not sure how to spell that word, what are some resources that you could use to help you? Where should we look in the book to find information on that topic? What would be an effective online search to yield good results on this topic? Bottom Line: If you show passion for the love of learning, then your students will too!